Chimney Doctors offers comprehensive chimney maintenance services in the Memphis, TN Area. 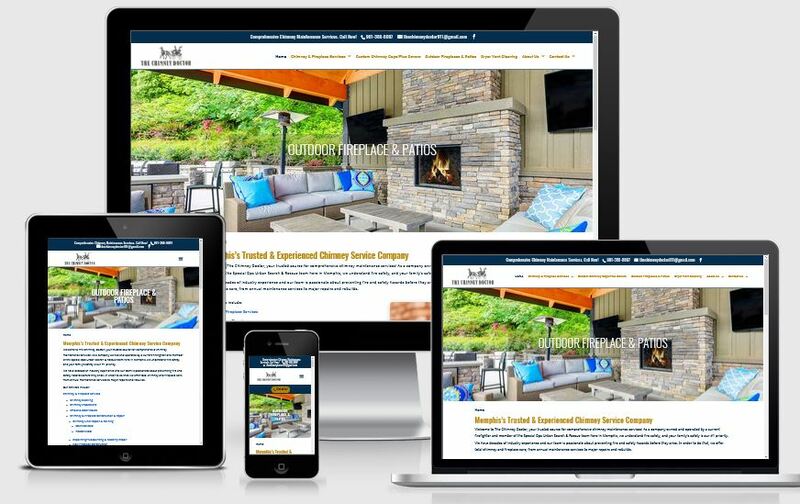 This is a responsive website for Chimney Doctors, Memphis, TN. The goals were to have a Multi page website with primary and Secondary menu bars, Tabs, Contact form. The Chimney Doctor is a full-service chimney and fireplace care company serving the greater Memphis, TN area. Owned and operated by a current firefighter and Special Ops Urban Search & Rescue team member, The Chimney Doctor is a company committed to reducing fire risks and making safer, cozier homes effortless for those in Memphis and the surrounding communities.